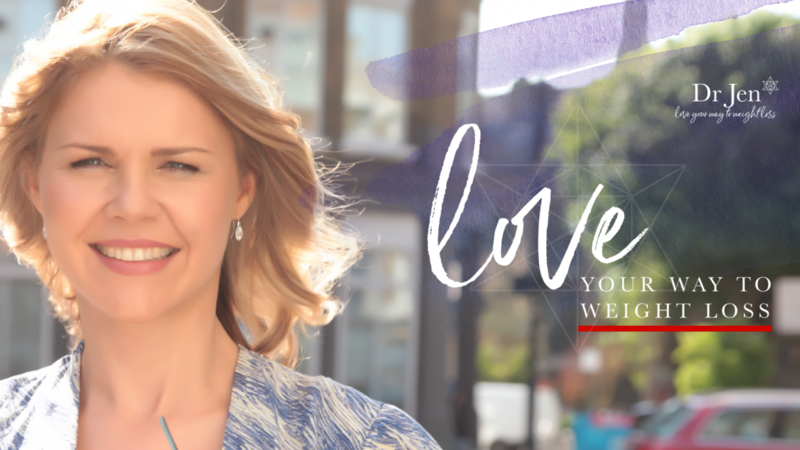 Giving You the Inner Tools to Love Your Way to Weight Loss! Are you a ‘mindless’ eater? Lots of the time, our eating happens unconsciously – on auto-pilot. You’re eating before you realise it – your hand is in the biscuit tin and the biscuit is in your mouth before you even recognise what’s going on. Sound familiar? We’ve all been there! This is called ‘’mindless eating’ – eating when your mind is somewhere else, and eating for a reason other than hunger. Because the food was there and you picked it up without thinking, or because you want distraction, or a break, or something else. We all eat mindlessly for non-hunger reasons – it is ok and very human. The difficulty when we’re struggling to lose weight is that mindless eating occurs more often than is helpful. So rather than begin by changing what we’re eating, we first need to start to increase our focus on why we are eating. We need to start to notice the conditions in which eating occurs and ask ourselves, ’Is food what I really need?’ Given that mindless eating is pretty unconscious, this is easier said than done! So I’d like to introduce you to the three step WHY Process to help you do this. WHY is an acronym – and it stands for 3 things you can experiment with doing differently as you make the decision to eat. Wearing a ring/painting nails/putting a plaster on the back of your hand etc. The only limit is your imagination – feel free to get as creative as you like! Anything that acts as a trigger that when you are reaching for the food you are reminded, “Oh yes! I’m doing something differently with food, what it is again?” Remember you won’t need to have the reminder there forever. It’s just a short-term strategy to break the mindless eating habit. Most people find that 7 days is long enough. Which leads us on to step two – asking yourself ‘Am I hungry for food or something else? Is food what I really need right now?’ The first thing to say here is that you might not know if you’re really hungry – many of us have lost our ability to tune into our hunger because in our modern day lives we tend to eat simply because it’s a mealtime, or because someone else has prepared something for us, or it’s just there and available and looks delicious! Eating Blueprint members discover lots of strategies that can help them figure out their ‘Hunger Number’. If your ‘Hunger Number’ tells you that you’re not truly hungry, then you are trying to solve a problem using food. You can therefore start to experiment with asking yourself, ‘What AM I hungry for?’ it might be a break from whatever it is you’re doing. To cheer you up. As a distraction. To bond with someone….. The Eating Blueprint is designed to help you to figure out what you’re truly hungry for, and what problems you may be trying to get solved by eating. For now, the question to hold in mind is simply, ‘Am I hungry for food or something else? Finally, step 3 is to say ‘yes’ to food or ‘yes’ to what you’re really hungry for. Whatever decision you make, you can feel confident you’ve made it mindfully and with thought, ensuring you’re not left with that guilty ‘food hangover’. The previous article introduced you to the key step that I learned on my journey of recovery – figure out what sort of hunger you are really having and work out if it’s ‘stomach’ or ‘eyeball’ hunger you’re experiencing. Today’s article will discuss the third type of hunger – which is ‘heart’ hunger. Heart hunger happens when we are triggered to eat because we are experiencing something inside – a feeling, emotion, thought, or perhaps a memory. Perhaps you’ve spent all day eating healthy and then something happens – you have an argument with your partner, or your boss criticises you, or maybe the opposite – something positive happens like the arrival of some good news – and you find yourself eating more than you wanted – either openly, or secretively. Or maybe you’re not sure what happens, but something shifts inside you, and you just ‘find’ yourself eating more than you wanted to or needed to. The first thing to say is that this is ‘normal’ and there is nothing wrong with you if you realise you are eating in response to heart hunger. As humans, food has never just been about fuel for our bodies. Ever since we were babies and our tears were comforted by our caregiver’s milk, a connection was established inside us, as food being a route to feeling loved, nurtured and connected. Food plays a really important role in regulating ALL our emotions – happy, sad and everything in between. It is also often a way of comforting from self-critical thoughts we might be having – “I’m no good’, I’m not as clever/attractive as xyz’ or even, ‘I’ve failed my diet for today so I might as well just give up and really go for it’. The challenge is that a lot of traditional weight loss advice tells us to overcome this by just distracting ourselves – and whilst this isn’t bad advice – for many of us it’s not so simple. It’s a bit like sticking a smiley face sticker over our petrol warning light in the car – the problem still remains. There may also be more subtleties to heart hunger, that don’t make a lot of sense until we understand what I call our ‘Eating Story™’ – which is the inner story we have that gives meaning to our inner impulses to eat. One of our members Mira talked about often finding herself eating for no particular reason at all. Mira discovered she had an Eating Story – ‘Eating means I don’t feel deprived’. Mira grew up in poverty, there was never enough food at home growing up. She had very vivid memories of her mum cooking up the food that was available, putting it in the middle of the table, and her and her siblings having to ‘jostle’ for their share. Awareness of this Eating Story gave meaning to her impulses to eat when she wasn’t hungry. The Eating Story had outgrown its purpose. The mindful eating strategy she learned in the Eating Blueprint programme helped her notice when she was eating to get this feeling of deprivation met. She created new ways of nurturing herself and feeling fulfilled, that didn’t always have to involve food. So, like Mira, uncovering your Eating Story may be a key part of your journey to discovering your ‘heart hunger’ triggers. In the meantime, I have an Action Step for you, if you’re inspired to try it out. I invite you to think about your experiences of heart hunger in your life this week. Notice when you’re eating because your heart is hungry, whether it’s due to a mood change or feeling, a thought, or triggering memory, and consider making a choice other than food. If you find yourself struggling to do this, please don’t worry, I’ve been in your shoes and I know you can do this when you have someone to take you by the hand and walk you through the steps. I’d love to help you by inviting you to join me for my ‘Tackling Temptation: Get More Willpower’ Programme. This programme gives you the 6 Simple Steps to Tackle Temptation, showing you how to unlock your inner willpower using my unique 6 Step Process – so you can lose weight with much less effort than you have before. AND for a limited time I’m making it available to you for an incredibly affordable price. I hope you enjoyed this strategy and I that you’ll join me in the programme soon – I’d love to support you there. Just visit www.EatingBlueprint.com/willpower. The first thing to say is that I can relate! For years I struggled to manage my hunger and was overeating a lot more than I wanted to for good health. The key thing that I learned on my journey of recovery that I want to share with you today is to figure out what sort of hunger I was really having. You may think this sounds a little bit strange, so stay with me, as I’d love to explain! The first type of hunger – is stomach hunger. This is the home of true physical hunger – the signal that we need to eat for energy. Most traditional approaches to weight loss assume that we’re eating because we’re physically hungry and that’s a pretty reasonable assumption – after all we were all born with a great skill in sensing our hunger – because it’s a necessary skill for survival – that’s why babies cry so loudly when they feel hungry and need to be fed! But fast forward a few decades or how ever old you are now – and you may not be so tuned in to your feelings of stomach hunger – you’re likely eating for all sorts of reasons – because the food looks delicious, because it’s difficult to resist, because someone cooked or bought it for you and it’s hard to say ‘no’ – and these are really great examples of the second type of hunger – which is eyeball hunger. This is when we see food and it triggers us to eat. This is perfectly natural and there is nothing wrong with you if you realise you are eating in response to eyeball hunger. As humans, we’ve evolved from times where food was scarce and we were hardwired to see food and eat it for the sake of our survival. The challenge is that a lot of traditional weight loss advice tells us to overcome this by keeping the food out of sight, not buying it in the first place, not having it in the house, and whilst there is a lot of wisdom to this advice, it also isn’t’ always so simple or practical to follow in our food abundant worlds! So instead we’re told to rely on willpower. But willpower is a tricky phenomenon. You might not realise it yet, but willpower is actually a skill. And it’s a skill I’m pretty sure you already have in some areas of your life. Have the ‘willpower’ to resist robbing a bank when an unexpected bill comes in and you fancy getting hold of some more money to cover it? Can generally summon up the ‘motivation’ to go out in the rain to pick up your child from the school gate, when the sofa is warm and inviting inside? So why is it that you can apply these skills of motivation, willpower and self-discipline in these other areas of your life, but not when it comes to eating and responding to eyeball hunger. Well it’s often because you simply haven’t been shown how. Until now! Because I’d love to help you by inviting you to join me for my ‘ Tackling Temptation / Get More Willpower’ Programme! This programme gives you the 6 Simple Steps to Tackle Temptation, showing you how to unlock your inner willpower using my unique 6 Step Process – so you can lose weight with much less effort than you have before. AND for a limited time I’m making it available to you for an incredibly affordable price! In the meantime, I have an Action Step for you, if you’re inspired to try it out. I invite you to really think about the difference between stomach and eyeball hunger in your life this week. Notice when you’re eating because you’re eyeballs are hungry, and consider making a choice other than food. If you find yourself struggling to do this, please don’t worry, I’ve been in your shoes and I know you can do this when you have someone to take you by the hand and walk you through the steps. I really hope you’ll make the decision to join me in the ‘Tackling Temptation’ programme – I’d love to support you there! Just visit www.EatingBlueprint.com/willpower. You may also recall that I said right at the start of this article that there are three types of hunger – so I’ll be talking about the third type in the next video. I hope you enjoyed this strategy and I that you’ll join me in the programme soon! Diabetes – What Have Emotions Got To Do with It? Life with diabetes is hard work. Diabetes has been likened to a job — not just any job, but one in which you have to work 24 hours a day, 7 days a week, 365 days a year, with no holiday, no praise, and no pay. I don’t know about you, but I wouldn’t stay working in a role like that for very long! However, individuals with diabetes don’t have the option of walking out or giving up; they have to keep ‘working’, day in and day out, for the rest of their lives. None of us can do anything in life that requires effort over a sustained period without getting support and respite — and diabetes is exactly the same. There are wide ranges of emotional factors that can impact the well-being of someone with diabetes — some of which affect people with type 1 or type 2 only, but many of which affect individuals with any type. The diagnosis of diabetes is a life event that has been likened to the experience of grief. In the same way as it is natural to grieve for a lost loved one, being given a diagnosis of diabetes can trigger a grieving for one’s lost health. It is common to live life as if we are invincible, rarely considering our health or mortality. This dramatically changes when we are diagnosed with diabetes: we are suddenly acutely aware that life is not without limits. We now have to rely on regular medication, frequent visits to a medical setting, and a team of health professionals to keep ourselves well. By becoming aware of the different stages of grief and recognising the stage of the process that you may be in, you can manage the potential challenges better. Psychological research has demonstrated that low mood and depression are very prevalent among people with diabetes; in fact, studies have demonstrated that depression is approximately twice as common in people with diabetes as in people who are in good physical health. ‘Diabetes Distress’ is a particular type of low mood, describing the emotional burden associated with the self-care demands required. Life has its challenges for all of us, with or without diabetes, and experiencing the whole range of high and low moods is part of the human condition. However, coping with a demanding condition like diabetes is an extra stressor to contend with, and it is very common to struggle with low mood and distress at times. Feelings of guilt, shame, and self-blame can be experienced by people diagnosed with either type 1 or type 2 diabetes. For individuals with type 1 or 2 diabetes there can be the shame of being ‘different’ for having this health problem to contend with, not helped by the way the media can stigmatise diabetes. Injecting and blood testing in public can be experienced as embarrassing and something we would rather hide than engage in openly. Some of us may experience these emotions because they we have been aware we needed to make changes to our health and lifestyle, and they feel regret we didn’t act on this awareness in time to prevent diagnosis. Fear and anxiety affect many people with diabetes. They can be divided into two categories: fear about factors in the here and now, and fear of the future. Fear in the here and now may be anxiety over hypoglycaemia, fear of needles, or simply the daily anxiety about the changes that diabetes causes in life. In terms of fear of the future, many people worry about the long-term complications and how they may have an impact in the years to come. For many people, both with and without diabetes, food can offer more than just fuel for the body. From birth, food is intimately linked to feeling safe and secure in the world, and in adulthood food can become a shortcut to dealing with difficult emotions, rewarding ourselves and simply just getting through the demands of life. Many people go their whole lifetime using food in this way to a greater or lesser extent, and often without causing much harm. However, individuals with diabetes need to be more mindful of the role food plays in their lives, and that using food to cope can cause problems. Developing a good working relationship with your healthcare team can go a long way towards making you feeling supported in your journey of managing diabetes. However, it’s common for people to avoid going to their health appointments completely, or to feel a range of difficult emotions when they do go. Exploring the various ways you may be relating (or not) to your healthcare team can help you see these relationships in a more helpful light. You may also want to equip yourself with some conversational tools that help you feel more able to assert yourself and have yourself heard. Diabetes doesn’t only affect the person with the condition. It has the potential to affect the whole family. Just as the person with diabetes can struggle emotionally, those around them can too. Family members can express their concern and worry in a multitude of different ways. Some loved ones may have a tendency to be over-involved with the management of diabetes, which can feel suffocating to the person with diabetes. The opposite can also happen, when family members withdraw and seemingly ignore what is going on, leaving the person with diabetes feeling lonely and isolated. Difficulties with sexual response are a very common experience for people with diabetes and can affect men and women in differing ways. For individuals with diabetes this can be a further setback: not only do they need to deal with all the other challenges of managing diabetes, now the part of their identity that could be expressed through their sexual relationship is hindered. It can feel like there isn’t any part of life that isn’t affected by diabetes. So we can see that there are a variety of challenges that can affect the emotional wellbeing of the person with diabetes. If you’d like support with any of the issues mentioned here, please do check out my ‘Diabetes Mind & Body Programme’, an online toolkit of psychological strategies that you can implement right away to feel better about your diabetes AND your life. Membership starts at just £7, learn more by clicking here! Many of us feel that the end of the year is a time to make changes and set New Year’s resolutions – which we all know are sadly often over by mid-January…despite our best intentions! Managing a long term condition like diabetes/our weight and food choices, that require a great deal of self-management, means that reflection and planning is a really important part of achieving the results that lead not just to health, but also to an all-important sense of wellness and inner wellbeing. As someone living with diabetes, or struggling with your weight, you know that you don’t have to be defined by your health, or any of the outcomes – whether it’s blood glucose readings, your weight, cholesterol or blood pressure, or the number of hypos and hypers you have. However, these numerical values can feel negative when they are not as we would like. But, measuring ourselves doesn’t have to be a negative thing if we can instead adjust our mindset and view it as feedback, as something may need to be changed. As well as the more obvious areas such as following dietary and exercise recommendations, smoking and alcohol use, look as broadly as you can to consider other factors. These could be aspects such as your attendance at health appointments, having your annual eye screening, learning about diabetes/healthy eating through personal research, and so on. Look at the list of 3+ things you would have liked to be different. See them as clues that indicate that something could be changed in this area. As you’re doing this reflection, take notice of your inner conversation. Self-judgement can be really common. Yes, you have a medical condition, and the focus is often on the medical and numerical aspect of our efforts. However, it’s hard to untangle the personal effort we put in to living with the condition with the medical outcomes we often see. Although diabetes/weight management involves literal measurements (blood glucose, weight etc), aim to ensure you are also not judging yourself unfairly (against people without diabetes, against others HbA1C readings, against those who seem to be able to eat what they like and not put on weight! etc). Knowing you are keeping going and making some effort each day will help you to untangle those feelings and ideas of self-worth when you consider your progress. We often talk much more harshly to ourselves than we would ever talk to friends and family members. Diabetes requires us to develop a compassionate approach to ourselves. I have found that asking myself, ‘What would I do or say to myself right now if I was being a good mum (or dad, or friend) to myself?’ really helps. Great parents are usually loving, but also kind enough to speak the truth when it needs to be told. Is it possible to develop the same style in your ‘inner talk’ to yourself? If I find myself avoiding doing what I know I ‘should’, such as eating more than I need, I’ve come to realise that it’s often because the food (or avoidance of the blood glucose testing etc) is the best way I know how to take care of myself, in that moment. Asking myself the question, ‘why?’ about behaviour like this, is really key. Having done your reflections for 2017, is there anything you need to change? If you’re happy with your progress this year, congratulations! Perhaps you’d like to share your news with someone or give yourself a well-deserved reward, symbolic or otherwise. If you’re concerned you’re not making the progress or seeing the outcome that you’d like, congratulations for this insight too. Awareness of your situation is key to change, and the most important step in moving towards an outcome you’d prefer. Looking at your reflections, is there one thing that immediately jumps out you can do differently? Starting with the smallest and easiest step is the one to begin with, as you’re more likely to achieve it and this often brings momentum to then tackle more challenging goals. This is also a great time to review whether it’s time to find out what support you can get from your diabetes healthcare team and make an appointment with the relevant professional. Diabetes isn’t easy, and this time of year especially can bring that sharply into focus. If nothing else, this year I have strived to stay grateful that I have a condition that can be managed – when there are so many health concerns that can’t. change, taking small and manageable steps toward your overall health goals throughout the months ahead will mean this time next year you’ll be celebrating what a great 2018 you were able to create! If you’d like some support in 2018, I’d love to help. Myself and Therapist partners know how difficult it can be, and would love to take you by the hand and guide you step-by-step to reach the freedom in body and mind you are looking for. We have online support programmes available from just £7, and 1:1 therapy starts from just £65. Please get in touch with your enquiry!